The first contact in the nose is already violent. This is true, if you have taken the first sip, but that is already scratching my hard on a false note. If you like this note of sulfur, you will certainly not be unhappy with the whisky, although in addition to the sulfur it could have been a little more exciting. 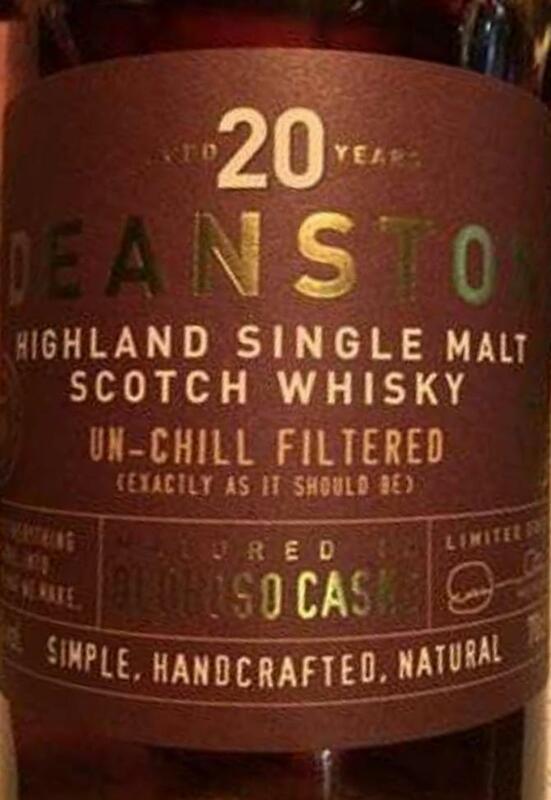 If you are averse to sulfur, you will not want to make friends with the Deanston 20. Uh, a sturdy note of sulfur, as I have seldom experienced so far. Sherrynotes try to get past the sulfur; it does not succeed, it stays putrid. A mushroom-covered, rotting tree. Moldy and drafty cellar. Dead mouse. Moldy fruit in open jar. That costs already overcoming, to take the first sip. Not so bad as feared, more monotonous than expected. It starts to tickle vigorously on the tongue, there is a small alcoholic touch noticeable. Woody and dry right at the beginning, dried fruit such as figs, dates, plums, apricots, of course sulfurized, with the sulfur on the tongue is not as intense as in the nose. Sweet honey, pine needles. Heavily flavored pipe tobacco. Medium-long and dry, coffee beans, spices such as nutmeg and oregano (which is a mixture), pepper and tart herbs. 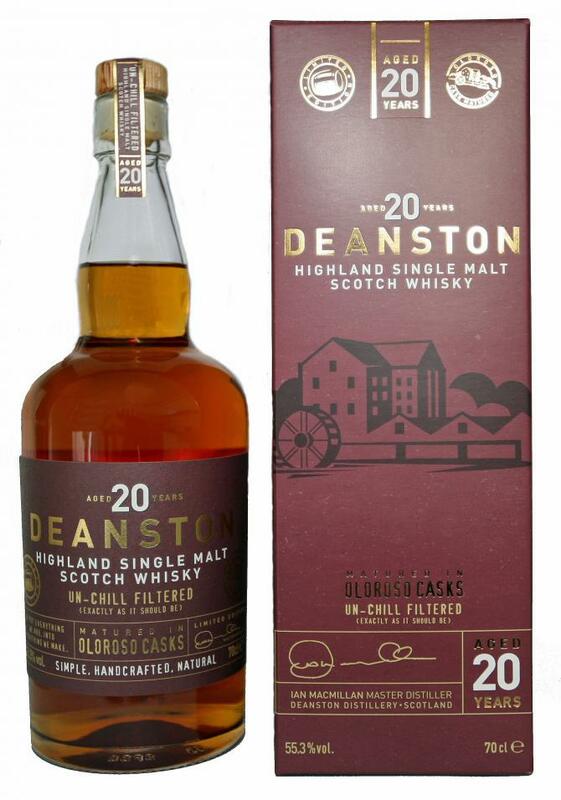 This is an excellent bottling, which the distillery has put together here. Everything is right here. It is to be hoped that this can be reproduced in the future. Dense, sweet sherry tones, highlighted with sweat right at the beginning. 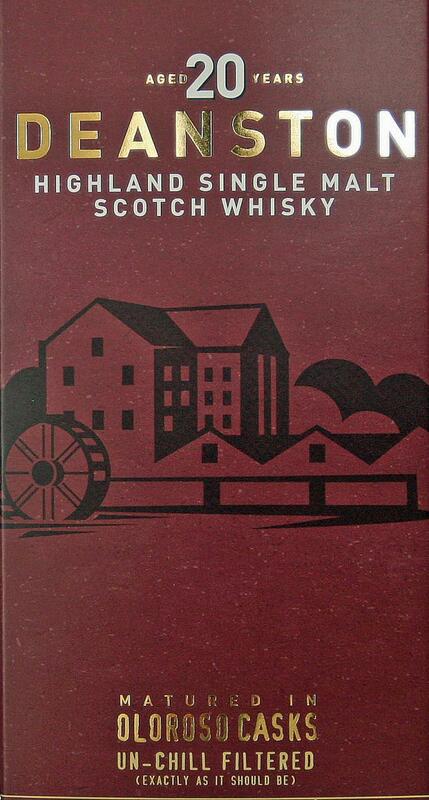 It develops bright fruits (apples), many candied fruits and a salty Kuhstallnote that reminds something of Springbank. With marzipan and malt. A touch of sulfur resonates. The whole thing warms up, caramel comes to the fore, but the nose stays a bit dirty. Also in the mouth clear sulfur and a good portion of salt. Dominant are sweet honey and sherry fruits, and the oak tree beats hard at the back. The mouthfeel is pleasantly oily, lots of power, but the alcohol is well integrated. The finish is on the pleasantly harsh side, after the sweetness stands for a while as an antipole. Overall, the finish is quite long and sounds nutty in the end. Nose: wonderful nose with my beloved sulfur. In addition a lot of fruit (dates and raisins), capers and old wood. Not extraordinary complex but damn delicious! The alcohol is present but never disturbing. If you give it some time it opens up and the heavy notes make room for other fruits (vineyard peach) and a touch of marzipan. Taste: intense and full, the nose continues seamlessly with sulfurized raisins, back plumps, tobacco, chocolate cream and spicy oak. The finish is medium long with beautiful sherry sweetness, cappuccino and peppery oak. But here I would have liked something more endurance. Great malt that meets exactly my taste profile. But understand that he is not the darling of them all. The initial price of just under 100 EUR was also fully okay for this quality. A great drop - that's for sure - with a rather unusual flavor spectrum for a Scot or Irish. So I'm guessing a Japanese (Yamazaki?) Or a non-bass kavalan and awarding - tadaaaa - 92/100 points. In the nose, he "attacked" me unprepared with a full fruit drone. This comes less sherrytpisch therefore, rather, as of a Weinfasslagerung. At first I make orange and mango and a very light ethereal freshness. After some time, however, this freshness disappears in favor of fruitiness. The whisky is more and more liqueur ... very nice! Holla! The drop appears with an almost unbearable sweetness ... in the best sense! In this potpourri of fruit notes, I can make mango and orange again, but there are also memories of multivitamin juice with honey and fruit compote of exotic fruits. It spreads in the mouth a feeling, as if the tongue wanted to stick to the palate ... crass! A similar flavor is known to me so far only by Kavalan and Yamazaki. 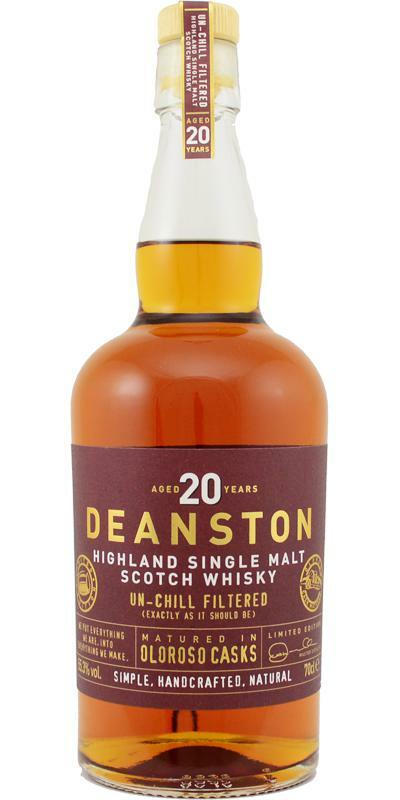 In the long aftertaste, this malt (as far as I would like to commit myself) enthusiastic with its warming character as well as a nice dryness, which forms a very appropriate balance to the sweetness in the mouth. 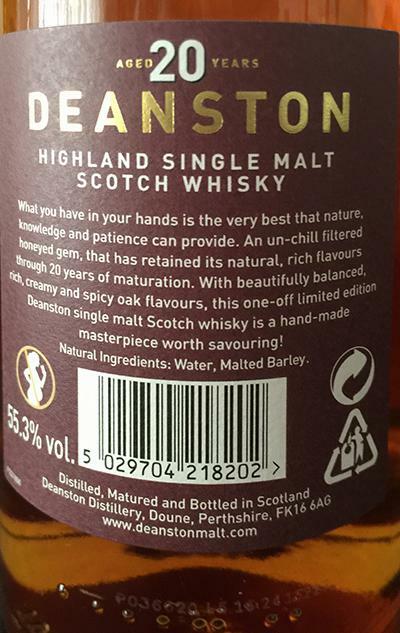 Balanced and versatile as a really good whisky should be. A masterpiece in every way. And from the PLV considered a real bargain! House whisky. Dark and heavy, he launches. Gone are the days of grassy lightness. He asks for water and then he gets free. With dark fruity sweetness and a fine match of scent directly to cigar leaves, he can not get rid of the nose. Sorry, but really cool! Yeah! Now it really starts. Wow. The spice dances immediately pleasant on the tongue and the mouth becomes even sweeter than the nose. Everything comes through like dark chocolate, orange peel, toffee and nutmeg. 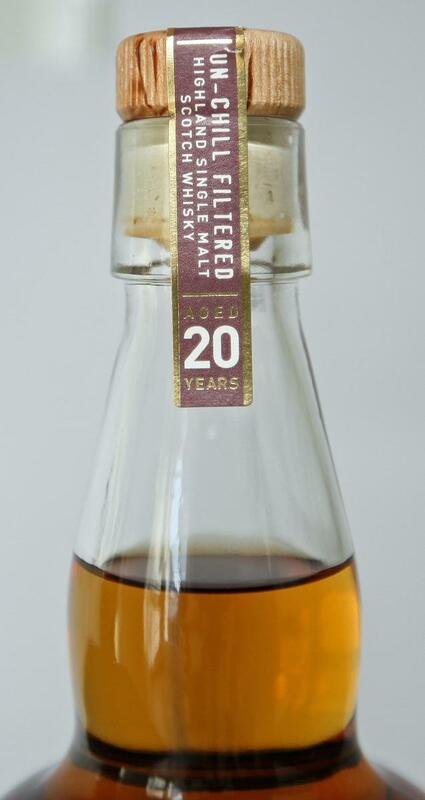 Salty, sweet and sour at the same time he comes and demands a second dram :-) A little dream. Medium to long, he remains cheeky spicy with oily sherry notes. Rather nutty, peppery and warm, it pulls away and lets celebrate. Very good bottle! Who likes sulfur, will like this one, has very beautiful varied notes, not at all the 100% "übersherryte" berry compote of otherwise, very much! The sulphur is over powering. There are many whiskies for which peat or sulphur add to the body, but this is too much, I've seen a lot of youtube reviews that don't even comment on the sulphur, I assume the reviewers cannot detect sulphur at all. Full body, likely from the sulphur, sweet raisins and preserved plums.